Home prices grew by 7.6 percent in California and 7.9 percent in the San Francisco metropolitan area on an annual basis in October. The San Francisco, San Rafael, Napa, Vallejo, and Oakland metro area housing markets are currently considered within their normal value ranges, while Santa Rosa and San Jose are overvalued. By 2022, all Bay Area housing markets except San Rafael are projected to be overvalued. Despite the high cost of purchasing a home in the Bay Area, most local markets are still within their normal value ranges, although that is not projected to be the case five years from now. That’s according to CoreLogic’s latest U.S. Home Price Insights report, which says that U.S. home prices grew by 7 percent year over year in October. 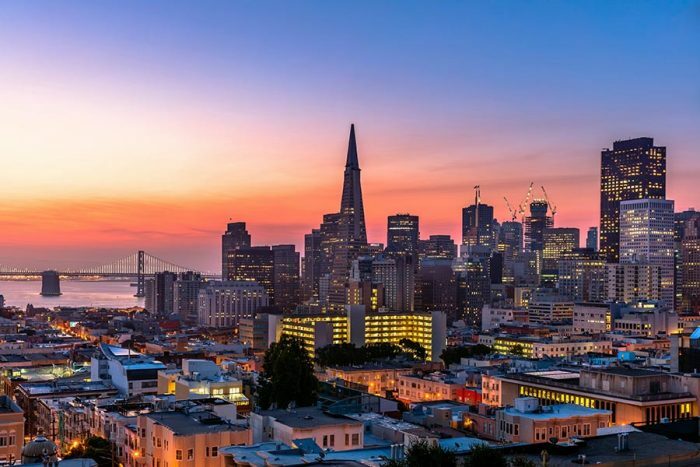 Appreciation in California and the San Francisco metro area outstripped the national rate, growing by a respective 7.6 percent and 7.9 percent. In a statement accompanying the report, CoreLogic Chief Economist Frank Nothaft noted that the national home price has grown in excess of 6 percent for four straight months, the longest such streak in more than three years. “This escalation in home prices reflects both the acute lack of supply and the strengthening economy,” Nothaft said. Even with continued price appreciation, CoreLogic says that most Bay Area markets are not overvalued. The San Francisco, San Rafael, Napa, Vallejo, and Oakland metro areas remain within normal value ranges, among the 36 percent of U.S. housing markets that fall into that category. Nothaft told realtor.com that the San Francisco metro area, where the median home sales price is $899,050, has always been an expensive place to buy a home, hence its normal valuation. Santa Rosa and San Jose are the two Bay Area cities that are among the 50 percent of U.S. real estate markets currently considered overvalued. Still, Nothaft told realtor.com that he doesn’t project an imminent housing crash but rather a leveling of appreciation rates in 2018 as mortgage rates rise. CoreLogic expects the opposite for California’s housing market, where home prices are forecast to grow by 8.2 percent by October 2018. Although most Bay Area housing markets are currently within their normal value ranges, the picture looks different five years from now. By 2022, CoreLogic expects that all Bay Area housing markets for which it tracks data will be overvalued except San Rafael.